Le Temps ne s'arrête jamais - the new automatic timepiece of superiority and precision for the modern and discerning gentlemen. 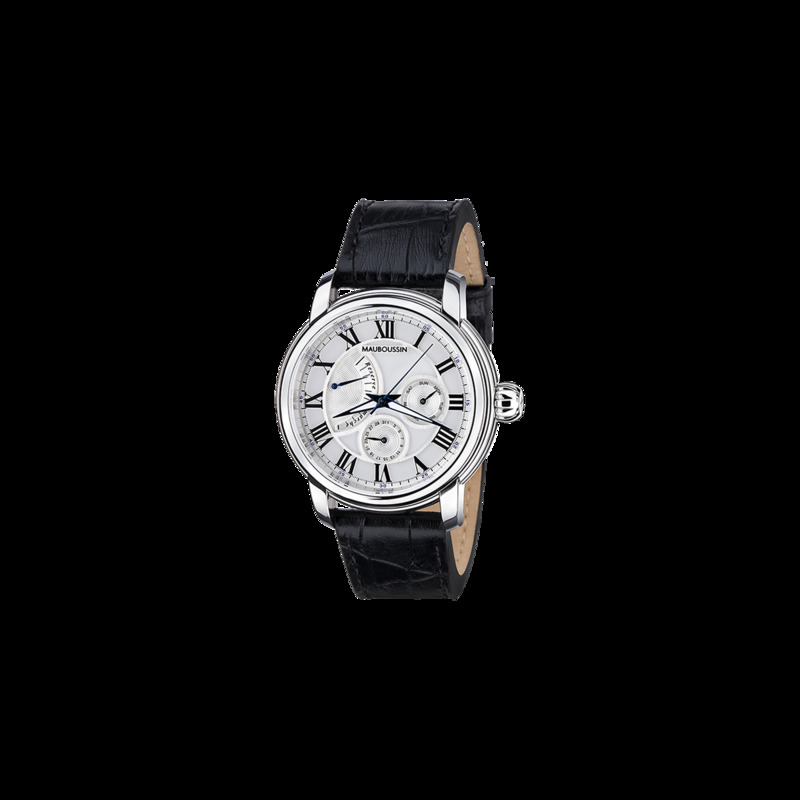 A classic white number with power reserve indicator, this elegant timepiece is a revelation of creativity of Mauboussin, demonstrating its savoir-faire in today's watch-making industry. 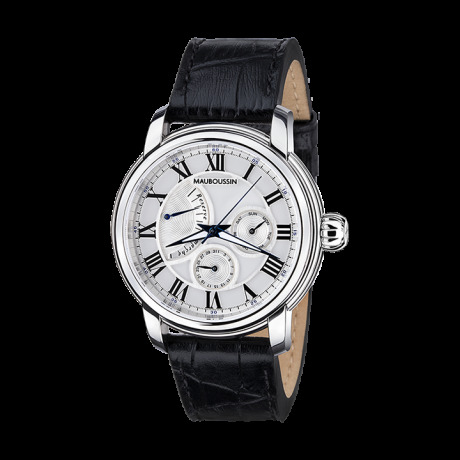 Le Temps ne s'arrête jamais power reserve watch by Mauboussin, a classic and timeless design for men.